Cappadocia, Turkey, has always been a favorite filming backdrop for Turkish television producers. There are many old mansions in the area that were inhabited by Greeks in the past. Many abandoned residences have been damaged or destroyed serving the purposes of TV series. However, blowing up an Orthodox church, namely the Church of the Assumption of Virgin Mary in the city of Nevsehir, caused widespread reactions, even among Turkish intellectuals. According to Turkish newspaper “Yeni Safak,” producers of the Emanet series had chosen the historic church to shoot some violent scenes. The Orthodox church was so severely damaged that the Director of the Foundation for the Protection of Cappadocian buildings filed a complaint against the TV producers. The Orthodox church was operating from 1849 until 1924 and in 1950 was transformed and served as a prison until 1983. It was abandoned since then. From 1986 onwards, restoration works had been done due to the historical and touristic value of the building, but they stopped for unknown reasons. 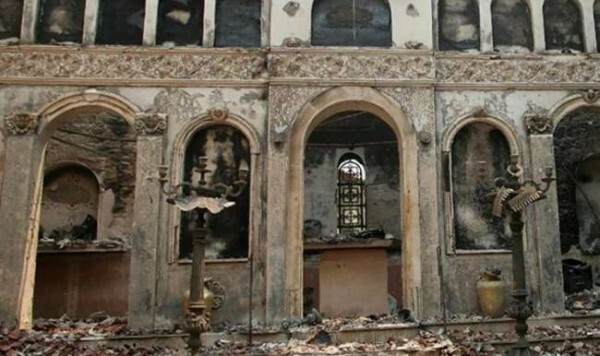 Three years ago, the Foundation for the Protection and Promotion of the Environment and Cultural Heritage (CEKUL) had accused Turkish TV crews of damaging christian churches, former Greek houses of major historical significance as well as important Greek monuments.